Mannaz – human– This week Mannaz fosters our fullest potential. Relationships are key, and whatever is on the agenda can only be accomplished when we make use of our collected resources. Rest assured, though, all signs point to success in your work, when you can create outer and inner balance. 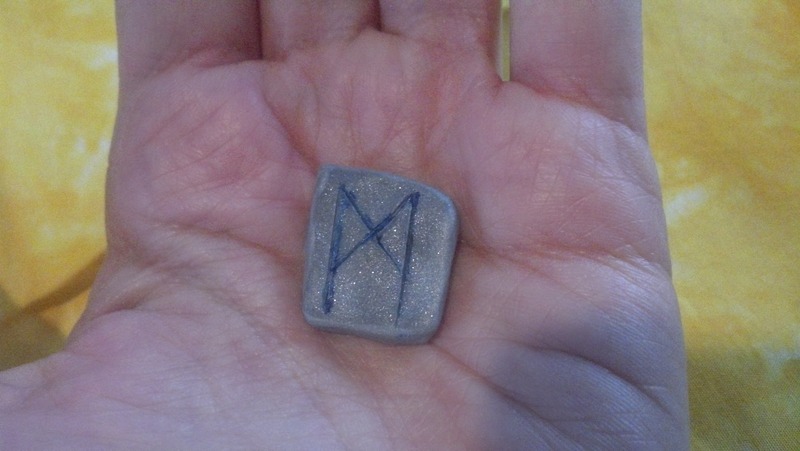 I call Mannaz the animistic Rune, though that could likely be said about all of them. I say it regarding Mannaz because it looks like Wunjo facing a mirror image of itself. Wunjo is the Rune of joy or delight, which is often characterized as the Law of Attraction–the point at which we’ve figured out that how we hold ourselves determines our lot in life. Joy beholding itself. By finding joy where we are, joy finds us everywhere. The effect of Mannaz, in that case, would be, how we hold ourselves affects us all. From a shamanic standpoint, in cosmologies Mannaz represents the strata where humans are most directly empowered, or what some might call the Middle World. It’s the place of Earth spirituality, the fae, Nature Spirits, and the pool of our formed wisdom and compassion. If you’re struggling with how to best tap into the power of this Rune, look no further than your imagination. Imagine what you want. Sense it, see it, taste it, listen to it, feel it. So it is. Such power of manifestation is the gift of the Middle World, the act of Mannaz. Just as Mannaz indicates humans interconnected and drawing on the spiritual resources in their home domain, it also illuminates the human in balance with itself. Take time this week to address Mind/Body/Soul/Emotional needs. Just as you draw on the support of those around you, truly, deeply support yourself. This act of self love is your calling, your gift, and your greatest secret potential.